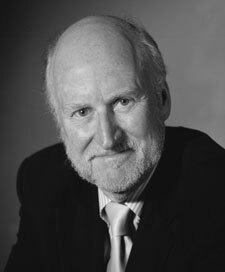 Rocco Landesman, chairman of the National Endowment for the Arts (NEA) since 2009, will deliver the keynote address at Convocation during CAA’s 100th Annual Conference and Centennial Celebration. Convocation takes place on Wednesday evening, February 22, 2012, at the Los Angeles Convention Center, West Hall Meeting Room 502AB, Level 2. Scheduled from 5:30 to 7:00 PM, Convocation also includes a welcome from Linda Downs; CAA executive director, an address from Barbara Nesin, president of the CAA Board of Directors; remarks from Susan Hildreth of the Institute of Museum and Library Services; and the presentation of the CAA Centennial Awards. Born and raised in Saint Louis, Missouri, Landesman pursued his undergraduate education at Colby College and the University of Wisconsin, Madison, before earning a doctorate in dramatic literature at the Yale School of Drama. After completing his coursework, he stayed at the school for four years, working as an assistant professor. Landesman’s ensuing career has been a hybrid of commercial and artistic enterprises. He left Yale in 1977 to start a private investment fund, which he ran until his appointment ten years later as president of Jujamcyn, a company that owns and operates five Broadway theaters. Before and after joining Jujamcyn, He produced Broadway shows, the most notable of which are Big River, Angels in America: Millenium Approaches, Angels in America: Perestroika, and The Producers, all of which won Tony Awards. In 2005, he purchased Jujamcyn and operated it until President Barack Obama announced his intention to nominate him to lead the NEA. The United States Senate confirmed Landesman as the tenth NEA chairman on August 7, 2009. Landesman has been active on numerous boards, including the Municipal Arts Society, the Times Square Alliance, the Actor’s Fund, and the Educational Foundation of America. He has also vigorously engaged the ongoing debate about arts policy, speaking at forums and writing numerous articles, focusing mainly on the relationship between the commercial and nonprofit sectors of the American theater. Over the years, he returned to the Yale School of Drama and the Yale Repertory Theatre to teach. CAA invites you to help shape the future of the organization by serving on the 2012 Nominating Committee. Each year, this committee nominates and interviews potential candidates for the CAA Board of Directors and selects the final slate for the membership’s vote. The candidates for the 2012–16 board election will be announced in early December 2011. 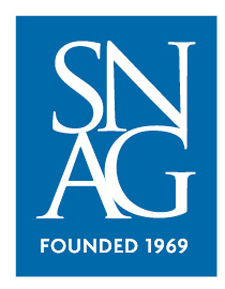 The current Nominating Committee will choose the new members of its own committee at its business meeting, to be held at the 2012 Annual Conference in Los Angeles in February. Once selected, all committee members must propose, in the spring, a minimum of five and a maximum of ten people for the board. Service on the committee also involves conducting telephone interviews with candidates during the summer and meeting in September 2012 to select the final board slate. Finally, all Nominating Committee members attend their business meeting, at the New York conference in 2013, to select that year’s committee. Nominations and self-nominations should include a brief statement of interest and a two-page CV. Please send all materials to: Maria Ann Conelli, Vice President for Committees, c/o Vanessa Jalet, College Art Association, 50 Broadway, 21st Floor, New York, NY 10004. Materials may also be sent as Microsoft Word attachments to Vanessa Jalet. Deadline: January 9, 2012. 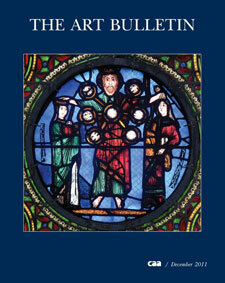 The December 2011 issue of The Art Bulletin, the leading publication of international art-historical scholarship, features essays on the portraiture of nuns in colonial Mexico, the sociological context of Katsushika Hokusai’s famous print Under the Wave off Kanagawa, and Federico Zuccari’s painting The Encounter of Christ and Veronica on the Way to Calvary. The December issue publishes four essays on diverse topics. For “Inventing the Exegetical Stained-Glass Window,” Conrad Rudolph studies the reintroduction of allegory in an art program established by Abbot Suger in the twelfth century for St-Denis in France, finding that it culminated in the construction of a new elite art for the literate layperson. In “Ancient Prototypes Reinstated,” Livia Stoenescu demonstrates the self-conscious medievialism in Zuccari’s painting The Encounter of Christ and Veronica on the Way to Calvary (1594) and the artist’s intention of inscribing its narrative within a Christocentric image. In “Clad in Flowers: Indigenous Arts and Knowledge in Colonial Mexican Convents,” James M. Córdova examines the flowery trappings depicted in seventeenth- and eighteenth-century portraits of nuns in New Spain. For her essay, Christine M. E. Guth explores the sociocultural context of Hokusai’s Under the Wave off Kanagawa (ca. 1830–33) to reveal it as a site for Japan’s shifting geopolitical circumstances between the 1790s and the 1860s. In the Reviews section, two writers consider three books on the history of Asian art. Douglas Osto explores Buddhist visual culture through Andy Rotman’s Thus Have I Seen: Visualizing Faith in Early Indian Buddhism and Cynthea J. Bogel’s With a Single Glance: Buddhist Icon and Early Mikkyō Vison, and Melanie Trede evaluates Alicia Volk’s In Pursuit of Universalism: Yorozu Tetsugorō and Japanese Modern Art. Bissera V. Pentcheva considers acoustics and architecture in Deborah Howard and Laura Moretti’s Sound and Space in Renaissance Venice: Architecture, Music, Acoustics, while Étienne P. H. Jollet reviews Frank Fehrenbach’s study of Roman Baroque fountains, Compendia Mundi: Gianlorenzo Berninis “Fontana dei Quattro Fiumi” (1648–51) und Nicola Salvis “Fontana di Trevi” (1732–62). 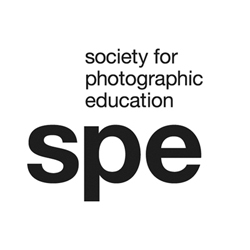 Gregory Batchen offers a take on national histories of photography through two recent books: Maria Golia’s Photography and Egypt and Karen Strassler’s Refracted Visions: Popular Photography and National Modernity in Java. Please see the full table of contents for December to learn more. CAA sends The Art Bulletin to all institutional members and to those individuals who choose to receive the journal as a benefit of their membership. The next issue of The Art Bulletin, to be published in March 2012, will include essays on the Zen monk painter Sesshū Tōyō, the art of Henri Fuseli, the “biography” of a statute sculpted in or near the Lagoon region of Ivory Coast. The issue also inaugurates a new feature, “Regarding Art and Art History,” comprising field notes on the topic of anthropomorphism by various authors and a critical essay on the interview format, followed by a conversation between Hans Ulrich Obrist and Philip Ursprung. With seventy photographs, one multimedia installation, and a video, Patti Smith: Camera Solo is the largest presentation of this artist, poet, and performer’s visual work in the United States in nearly ten years. 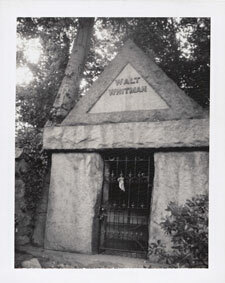 The exhibition highlights the connection between Smith’s photography and her interest in poetry and literature. Actual objects that appear in the many black-and-white Polaroids will also be on view. Mounted in conjunction with the tenth anniversary of the destruction of the World Trade Center, Patti Smith: 9.11 Babelogue comprises twenty-six works on paper created between 2001 and 2002 as a response to the tragic event in New York. Organized by Michelle Yun, curator of the Hunter College Art Galleries, the exhibition is the first presentation of the entire series. Following the success of last year’s inaugural event, the Art History Program in the Department of Art at American University has organized the second annual Feminist Art History Conference. Speakers in twelve sessions will deliver fifty-one papers that span a broad range of topics and time periods, from the medieval era to contemporary art. The presentations will also demonstrate the ways in which feminist research and interpretation have spread across the spectrum of art-historical analysis and scholarship. In her keynote address, Mary D. Sheriff, a distinguished professor of art history at the University of North Carolina in Chapel Hill who specializes in eighteenth and nineteenth-century French art and culture, will speak on “The Future of Feminist Art History: Where Have We Come From, Where Are We Going?” The conference is free and open to the public; online registration (by October 28) is recommended. 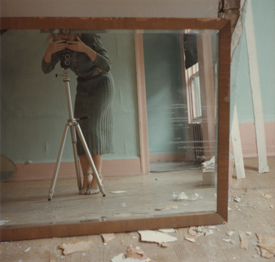 This survey of works by the photographer Francesca Woodman, known for her black-and-white self-portraits from the late 1970s, is the first in more than two decades and comes thirty years after her death at age twenty-two. Organized by Corey Keller, associate curator of photography at the San Francisco Museum of Modern Art, the exhibition includes prints, artist’s books, and videos. Sherrie Levine has been the subject of much critical discourse for the past thirty years. This exhibition, developed as a project by the artist, includes works ranging from her well-known 1981 photograph, After Walker Evans: 1-22, to recently created objects, such as Crystal Skull: 1-12, from 2010. Levine and the curators—Johanna Burton, Elisabeth Sussman, and Carrie Springer—will juxtapose old and new works in order to provoke fresh associations and responses. 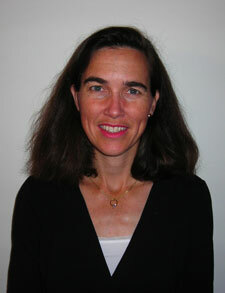 Anne Collins Goodyear, associate curator of prints and drawings at the National Portrait Gallery, Smithsonian Institution, has been elected president of the CAA Board of Directors for a two-year term, beginning May 2012. A member of the board since 2006, Goodyear has served as vice president for external affairs (2007–9), vice president for publications (2009–11) and vice president for Annual Conference (2011–12). She succeeds Barbara Nesin of the Art Institute of Atlanta, who has led the board since May 2010. Goodyear began work at the National Portrait Gallery in Washington, DC, in 2001 and was promoted from assistant to associate curator in 2009. Her recent exhibitions include Inventing Marcel Duchamp: The Dynamics of Portraiture, organized with James W. McManus (2009), and Reflections/Refractions: Self-Portraiture in the Twentieth Century, collaborating with Wendy Wick Reaves (2009). Both exhibitions were accompanied by scholarly catalogues of the same title. Goodyear has also helped organize six installations for the museum’s ongoing Portraiture Now series, initiated in 2006. Additionally, she has taught a graduate seminar in American art at George Washington University since 2008. Goodyear earned her MA and PhD in art history from the University of Texas at Austin, after receiving a BA in the history of art and architecture and French civilization at Brown University in Providence, Rhode Island. She has published essays in the scholarly journals American Art and Leonardo and contributed chapters to several exhibition catalogues and edited volumes, including Unexpected Reflections (2010), The Political Economy of Art: Creating the Modern Nation of Culture (2008), Cold War Modern: Art and Design in a Divided World (2008), and Photography Theory (2007). Within CAA, Goodyear served on the Museum Committee, chaired the Education Committee, and participated on the Task Force on Practical Publications, the Task Force on Editorial Safeguards, the Strategic Plan Steering Committee, and the Centennial Task Force, among other groups. Equally active outside the organization, she has chaired the Washington, DC, chapter of ArtTable since 2010 and currently leads the Smithsonian Network Review Committee, which oversees programming for the institution’s documentaries and other videos. As chair of the Smithsonian’s Material Culture Forum, she facilitated interdisciplinary programing for scholars in the nation’s capital. The CAA board chooses its next president from among the elected directors in the fall of the current president’s final year of service, providing a period in which the next president can learn the responsibilities of the office and prepare for his or her term. For more information on CAA and the Board of Directors, please contact Vanessa Jalet, CAA executive assistant. A full report on the October board meeting is forthcoming later this month. CAA warmly welcomes three full-time and one part-time employees who have joined CAA since summer 2011. Two new staffers work in the Publications Department, and two more in the Membership, Development, and Marketing Department. Hannah O’Reilly Malyn became CAA development associate, a new position, in October. Previously, she assisted the development and marketing associate at Hester Street Collaborative while completing her master’s degree in visual arts administration at New York University, where her thesis explored the advent of populist audience development tactics in art museums. Before attending NYU, she earned a dual BA in economics/business and studio art from Kalamazoo College in Michigan. As an artist, Malyn is mostly interested in the human form; her undergraduate senior solo exhibition, Re-Conceptions: Women in Art, explored the role of women in the art world through a series of watercolor figure studies. She also works in oil and charcoal. Nancy Nguyen is CAA’s new institutional membership assistant, where she is the primary contact for all institutional members. She succeeds Helen Bayer, who was promoted to marketing and communications associate. Nguyen recently graduated from the University of Texas at Austin with a BA in history. Prior to joining CAA in October, she worked at the Museum of Modern Art in New York as a visitor assistant. During her undergraduate career, she was the public programs assistant at the Harry Ransom Center while interning in the departments of marketing and public relations at several Austin museums and arts organizations, such as the Jack S. Blanton Museum of Art, Arthouse at the Jones Center, Mexic-Arte Museum, and Landmarks Public Art Program. Joining CAA as editorial assistant is Alyssa Pavley, who graduated with a BA from New York University this past May, majoring in art history with a minor in creative writing, concentrating in fiction. Before coming to CAA in August, Pavley served as an intern at two magazines, Art in America and Art + Auction, and at the Judd Foundation and Nicole Klagsbrun Gallery, all in New York. Her writings and reviews have been published at thefanzine.com and Artinfo.com and in Art + Auction. Erika Nelson has been directories data collections coordinator since June, succeeding Cecilia Juan, who departed in the spring. Nelson earned a BA in art history and communication at the College of Saint Benedict in Saint Joseph, Minnesota, and will receive her MA in art history from Brooklyn College, City University of New York, in February. Her thesis, “You Are What You Eat: Catholic Cannibalism and Cultural Consumption in the Codex Espangliensis.” examines the influence of both martyrs and Mickey Mouse on contemporary Mexican society. Nelson hopes to pursue her PhD in modern Latin American art in the coming year. Previously, Nelson perfected her data-entry skills through positions at Fordham University and Mutualart.com and developed her communication skills through a teaching assistantship at Brooklyn College and an internship at the Hill Museum and Manuscript Library in Collegeville, Minnesota.